to create a bridge with local actuarial groups. The Committee at its sole discretion may admit as a member anyone else provided that person's membership is consistent with achieving the objectives of the Society. Membership of the Society is free of charge. Please contact ZAS at zurichas@outlook.com if you want to be added to the ZAS distribution list and kept up to date with the ZAS activities/events. Dimitra has more than 15 years of experience mostly in Life and Health Reinsurance. She started working in London, moving on to Athens where she gained experience in direct companies as well. Dimitra has been in Switzerland for the last 4 years. Currently she focuses on Medical Insurance in Europe. She is an Associate Member of the Institute and Faculty of Actuaries, volunteer member of the Health and Care ECPD Committee as well as a member of the Swiss Actuarial Association. Adina has ten years of actuarial experience in Life Insurance, Reinsurance and Consultancy. Before moving to Switzerland she lived and worked in several European markets including Germany, France, the Netherlands, Romania and the Czech Republic. Currently she is responsible for developing group life insurance risk methodology in Zurich Life Insurance Company. Adina is the Continental Europe representative for IFRoA students on the International Students Consultative Forum. Mark has more than 20 years of experience in general insurance actuarial work, with expertise in pricing, reserving and capital modeling for a variety of lines of business and firms. Mark started his career in the London market and international reinsurance operations such as GE Frankona and Endurance. Prior to joining Qatar Re as Chief Actuary, he chaired the Institute of Actuaries working party researching the effects of Periodic Payment Orders (PPOs) in the UK. He is a Fellow of the Institute and Faculty of Actuaries and of the Singapore Actuarial Society, a member of ASTIN and he is a founding member and member of the committee for the Gulf Actuarial Society. Ronel has over 15 years of experience in the general insurance market, including reinsurance pricing, reserving and economic capital modelling. She started her career in South Africa, followed by two years in London and has worked in Switzerland since 2005. In her current role at PwC, she provides audit support and actuarial consulting services to Swiss (re)insurers and captives. She is a Fellow of the Institute and Faculty of Actuaries, as well as a member of the Swiss Actuarial Association. After starting his career at Tillinghast in London, Alex has been working for Zurich Insurance Company in Zurich since 2009 in a variety of life actuarial roles, most recently as Chief Life Actuary for Zurich’s international group life and disability protection businesses. Alex is a Fellow of the UK Institute and Faculty of Actuaries and has master's degrees in mathematics and statistics from Cambridge University. 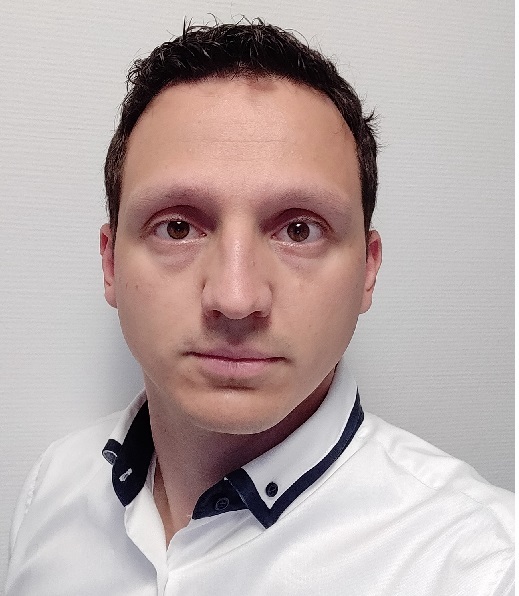 Roberto started his career in Italy in 2009 working as an Actuarial Consultant, before taking several corporate actuarial roles across Europe (Republic of Ireland, UK, and more recently Switzerland). Most of his background is in Non-life Reserving, Economic Capital, Risk Management and Pricing. Currently he is working as a Senior Non-Life Actuary for PartnerRe in Zurich. He is a Fellow of the Institute and Faculty of Actuaries and the Italian Actuarial Association (Ordine Nazionale degli Attuari). Jeff is a Fellow of the Institute and Faculty of Actuaries with over 14 years of experience in insurance regulations. He currently works at the Financial Stability Institute (FSI), Bank for International Settlements (BIS). The FSI’s objectives include promoting the implementation of international financial supervisory standards globally. Jeff is the Project Manager of FSI Connect, the BIS’ online learning and information tool for financial sector supervisors and central banks. His role includes authoring FSI Connect insurance tutorials and delivering the FSI's seminar programme. Jeff has also worked at the Central Bank of Malaysia and the Secretariat of the International Association of Insurance Supervisors. Steve has over 30 years of industry experience, with an emphasis on general insurance. His early career was in consulting in London, moving to the company side shortly after qualifying. 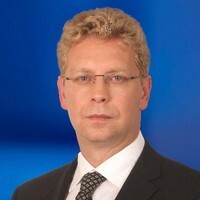 He held roles in actuarial, finance, strategy and general management before relocating to Switzerland in 2004 when he was appointed Group Chief Actuary for Zurich. He has held several further international roles based in Zurich. In addition, Steve has been heavily involved in research for the World Economic Forum's Global Risk Report and has recently co-authored a paper on cyber accumulation risk for the Geneva Association. He is a fellow of the Institute and Faculty of Actuaries and holds a master’s degree in mathematics from Cambridge University, England.